Dance Dance Map is a custom made map by me. I take 4 kind of song and dance from MMD and export it to Half-Life 2. This map is suitable to use in server for relaxing kind of map or garrysmod. Requirement is Half-Life 2 Episode 1 must installed and play once (because its using ep1 content). +Play with hl2 ep1/ep2 : press “~” and type “map dancedancehl” without quote. 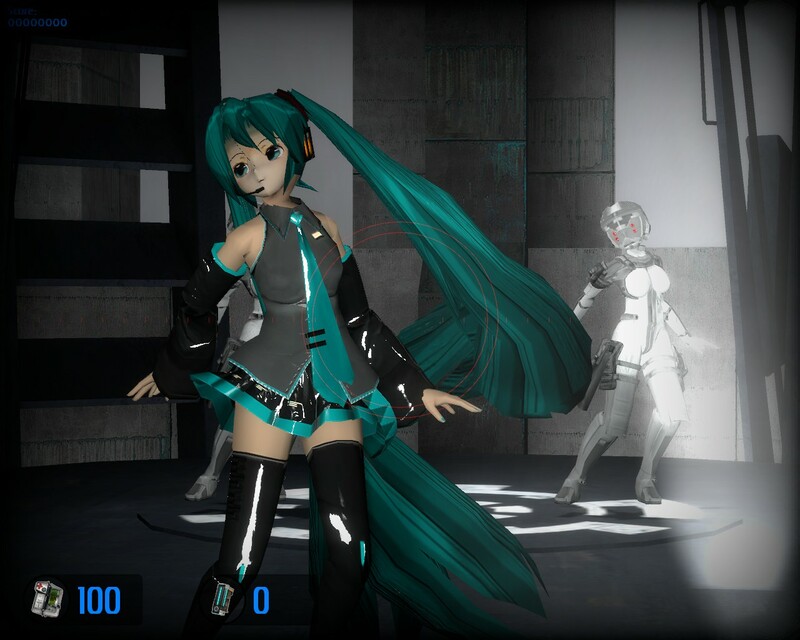 +Hatsune Miku character (c) Crypton Future Inc.
just a quick update subbed/lipsynced versions being worked on as we speak so expect revisions.